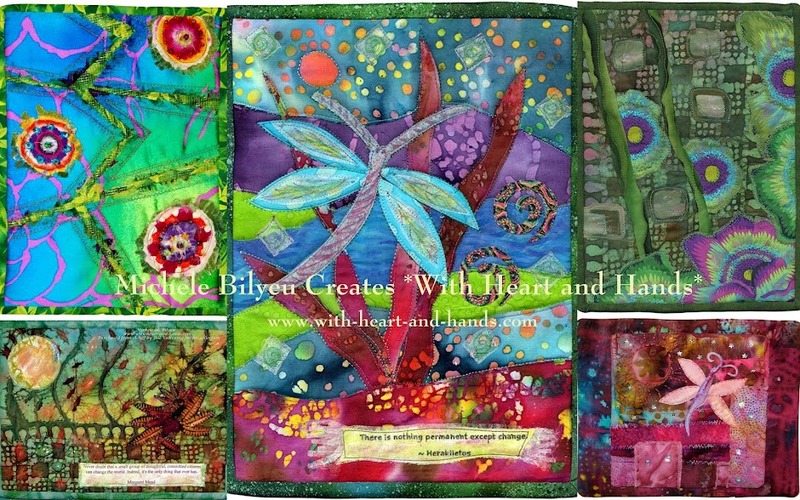 Michele Bilyeu Creates *With Heart and Hands*: Crazy String Quilting...at a Mile a Minute! Crazy String Quilting...at a Mile a Minute! I have a MIL who needs a lot of care, and chauffeuring to doctor appointments since her last bad fall 3 weeks ago, when she lay on her bedroom floor for 12 straight hours til someone checked on her in the morning.I have my youngest daughter, who just broke her foot and lives in a cabin in the woods 2 hours away. I worked my Mid-Valley Quilt Guild's 'Bolt to Bed' speed quilting charity quilts for over 12 hours on Wednesday and had such a ball, that I dare not complain too much about that! We used all scraps this year instead of bolts, and while not one was finished and put to bed by the end of the 9 am to 9 pm day...but I definitely bolted to bed, as soon as I got home. Before I bolted, I decided to make 'one giant leap for mankind' first. As I was bagging up our day's trash (and we saved every single scrap, including threads to donate to the Union Gospel Mission for making into new fibers for cash in Japan) I went out back of the hall we were renting...to find the dumpster. "Where is the dumpster?" I asked the friend by my side. She pointed and said "Over there". Over there I went.... in the pitch black darkness...over there suddenly being 3 or more feet down, feet first. It was a loading dock and neither of us could tell in the dark. I was still standing up, only I was 3 feet down. No sense of direction, no depth perception and eyes that don't see in the dark. Luckily, I landed on my feet and was laughing SO hard, I undid lots of the damage by a surge of hilarious energy. I figure I may have to dump 5 personal pounds now, because I must be at least an inch shorter!!! And yes, every inch of me hurts. Not just from my leap of faith, but because I'd been sitting all that day and sewing for 12 hours with only small stretching breaks in between. 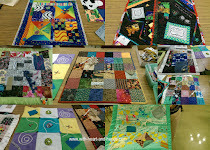 I had a ball, I got a lot of future quilt blocks done and I made lots and lots of new friends. We had a turnout of almost 100 women. And there is nothing more fun than 100 women in one room all quilting at once! And yes, the rest of my life is a crazy patchwork of bits and pieces, strips and strings. But so too, are all of our lives a lot of the time. We hope, we pray, we try, we think good thoughts, we do, we give, we share, and we keep on, keepin' on. Some days, it's a mile-a-minute-craziness, some days it's playing in the scrapbags of life. But each and every day that we get is still a blessing and one to be grateful for! So, today...take a breath, be grateful, and if you're thinking of taking a new step or even a leap of faith..please just don't do it in the dark! Ta Da! An August Finish: A scrappy strings/mam blocks patchwork of fun! Easy to do, fast to finish, and so much super, duper fun! That is just plain scary... the plunge in the darkness, so happy to read you're OK (minus the soreness). Please do take good care of you, Michele, there's a LOT of people needing you right now. The string quilt is fantastic. your string quilt is beautiful. I love your colors. I'm tired reading this post. And I thought I was busy. Hope you can find a few minutes for yourself. I love your quilt. I never thought to do the border like you have done. Beautiful!! You need someone to take care of YOU! My goodness I hope your brother's surgery goes well ... no wonder he fainted!! The hurrier we go, the behinder we get ~ glad you're remembering to breathe (and laugh). So, does this mean you're ready for the rack? To stretch you until you find that lost inch? Gotta watch those leaps of faith, there! Here's hoping you get a big lull soon--and not by lying flat on YOUR back. Sounds like you've been super busy....with all that you have going on in your life, the busy days sewing/quilting keep you going! Sorry to hear about your fall though. Glad it wasn't further than 3 feet. Hope the soreness goes away soon. Prayers are going out for you and your family members. The string quilt is gorgeous. What a great way to use up your scraps. Wow that fall sounds scary - glad you are okay. As for making so many quilts, with deadlines, there are a couple of letters immediately after the letter m in the alphabet. They form a word that maybe you should look up in the dictionary! I know you enjoy it, and it probably helps you relieve some stress, but you should never let quilting be stressful for you. Life is oh so busy for you- I hope that you have had no repercussions from your fall- Perhaps you were thinking you could have a matching cast with your daughter:O)? I hope you have no more adventures where someone gets hurt.. you have had more than your fair share of health things this year. I am sending you good thoughts for all your family members to be healing or staying steady healthwise- and do take care and save some of those good thoughts for yourself. You are a treasure to all who know you. I wish you some calm and relaxation during the fall. Take care of yourself, dear friend. Your quilt is gorgeous too. I do love the look of string quilts. Michele, Michele...that was one rapid descent into one very hard landing! I'm hoping and praying you were just shook up, and not to badly injured. I thought I was the only one who did "stuff" like that...LOL, stepping off the top step thinking it was the bottom step...long way to the cement driveway! It sounds as if life is as busy and hectic as always for you. I'm following all the "here" inserts with appropiate action requested *VBS* And lots of prayers as I sew, for all involved, including YOU. Oh Michele, I got tired of just reading of all the stuff you have had happened in just a short moment. Please Please take care of yourself, I see so many that need you but you must take care of yourself first so you can take care of others. My prayers are with you and yours. Good luck on recovery with your fall. Your quilt is beautiful. You are so, so talented. I am exhausted just reading your story. Take a few deep breaths and relax if you can find the time or energy. My thoughts and prayers are with you. Hon, you make me tired just reading your blog! And yet you seem to manage to somehow get everything that's really important done. And I bet a few things that aren't so important, too! You are a treasure in God's creation. 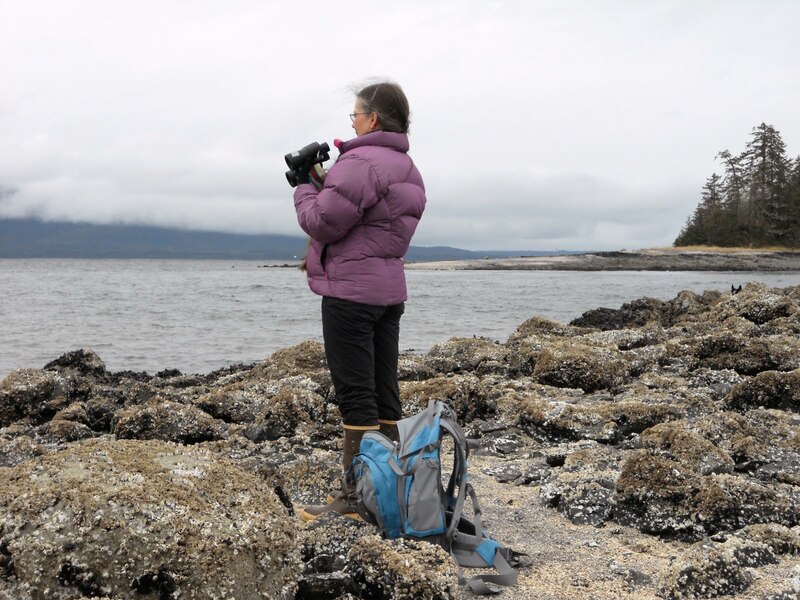 I love reading your blog and seeing what you do. Take care of yourself. I can't believe you took that drop! You do need to lay down in your scraps for therapy.